The photo above illustrates the best reason to use custom ammunition - which is that it can be tuned to the BEST LOADING for YOUR rifle - and then reloaded to maintain that accuracy! These four groups were fired from the same .264 Win Mag. All groups were shot using premium 140 grain bullets. The difference between the groups is in the loading: e.g., the type of powder, amount of powder, and seating depth of the bullet. If you were shooting only the loads on the bottom to determine this rifle's accuracy, you would come to the conclusion that it was "ok." The truth, however, is that this rifle is a real tack driver - WITH THE RIGHT AMMUNITION. The group in the top center is less than 0.3 inches "nose-to-nose"! And, the rifle will do this consistently. Not bad for a factory Winchester Model 70, or - for that matter - a custom-built target rifle! We can’t get every rifle to shoot this well. 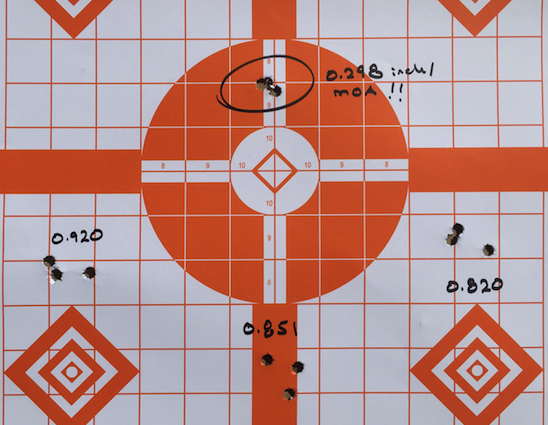 But, we can get close to (or under) ½ inch three shot groups at 100 yards the majority of the time with our custom load development service. Another great reason to use custom ammo is because you can get this type of performance with a bullet OF YOUR CHOICE that is best suited for your intended use. This .264 Win Mag is a hunting rifle and the bullet is a 140 grain Berger VLD that leaves the muzzle at just over 3,200 fps. That’s strong medicine for light big game and then some. When you hunt, you put tremendous effort into getting one clean shot. All of that work can be lost by the failure of a few grains of lead and copper. The only physical connection between you and your quarry is the bullet. The proper bullet for the game you seek is available to you - with NO compromises! 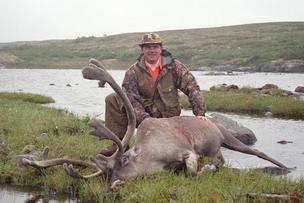 Quick, clean and humane kills are the result of matching your round to the game, rifle and conditions of your hunt. At Precise Ammunition, we take full advantage of the outstanding terminal performance of both recently-developed bullets, as well as tried-and-true bullets that have proven themselves throughout the years. We know how to get the most out of all of them. Finely-tuned accuracy is VERY important in a hunting round. We have heard phrases like “minute of deer” as a description of a rifle that is accurate enough. At Precise Ammunition, our view is NO…IT IS NOT! We even question the standard of 1.5 inches for three rounds at 100 yards (1.5 MOA). Remember that your accuracy IN THE FIELD is affected by many more things than your rifle's ability on a bench. Improving rifle accuracy through load development is one of the easiest ways to reduce variables when in the field. When shooters say their rifle can shoot better than they can, they overlook the fact that accuracy compromises are cumulative. Regardless of whether caused by conditions, shooting ability, or rifle accuracy, it all adds up. THE LONG SHOT We do not encourage anyone to take shots that are beyond their capability. With that said, you will find that your ability to make a long shot improves significantly when shooting a more accurate rifle - one that you "know" can shoot under 1MOA. Not just because of the obvious math of your group size, but because you get better feedback when practicing at the range. Then you "know" what you can really do. It’s no longer a question of whether it’s the rifle or you. As is true of many things in life, a large portion of your ability in making a shot in the field is mental. When you KNOW that the bullet will go where you want it to go if you do your job, then you are more likely to do your job well. The bottom line for hunting ammunition is that when you are shooting a very accurate round which is utilizing a bullet that is well-matched to the game you are hunting, you will be confident enough to make that tough shot. Often times the tough shot is the ONLY one you get. Be prepared for it! Custom ammo gives you the confidence to take it! 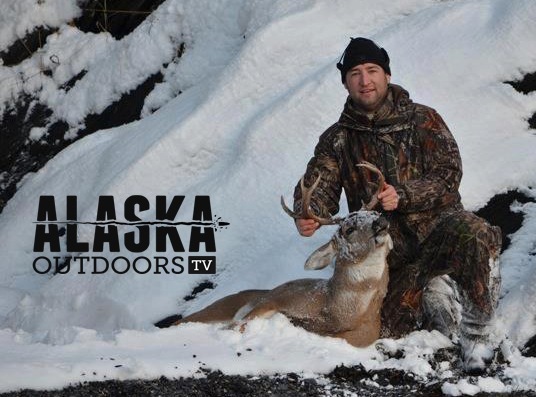 His Sitka Blacktail deer was taken on Kodiak Island with a .300 Winchester Magnum shooting Precise Ammunition loaded with Barnes TTSX 180 grain bullets leaving the muzzle at 3,000 fps. This loading produces 3,500 ft/lbs of energy at the muzzle!